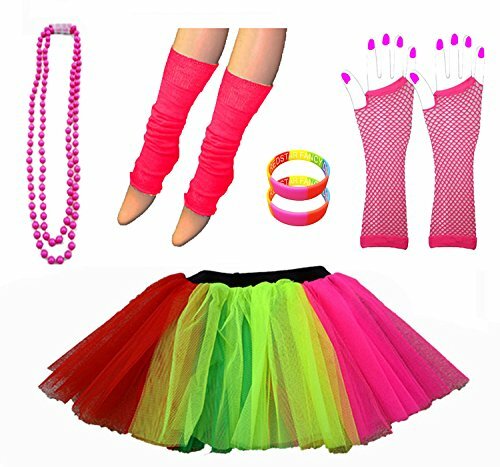 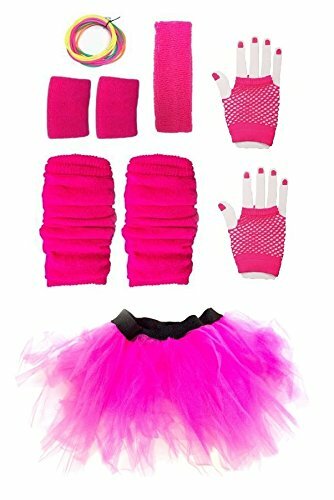 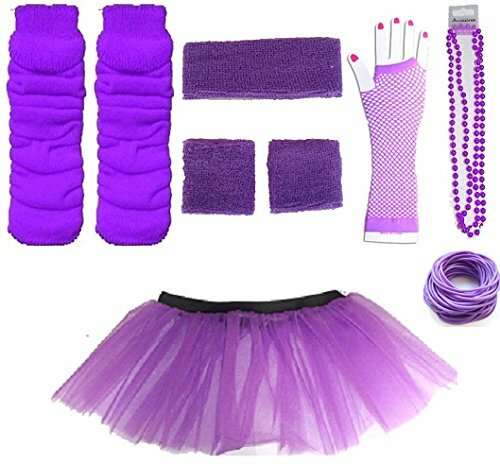 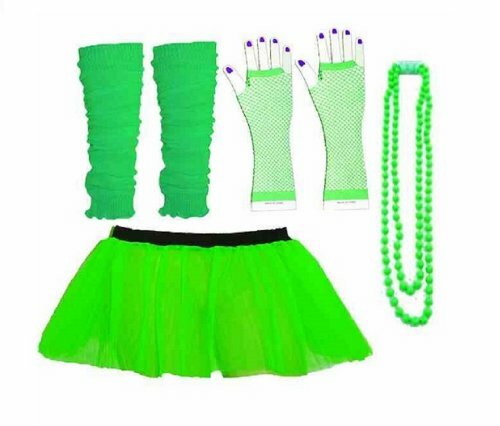 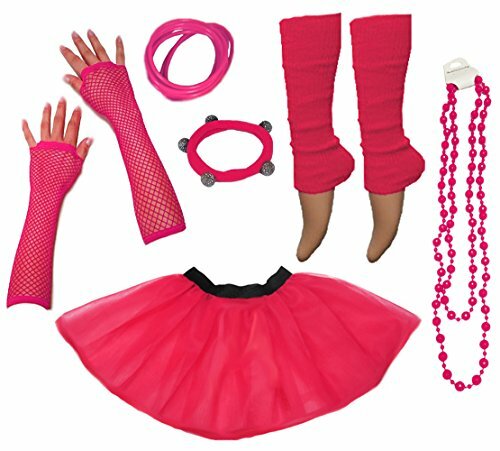 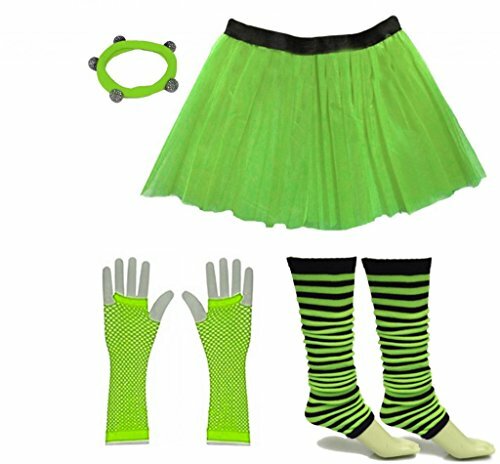 Obviously, the more accessories included with the tutu the more you will have to pay, but they're a great way of creating a quick and easy 80s look. 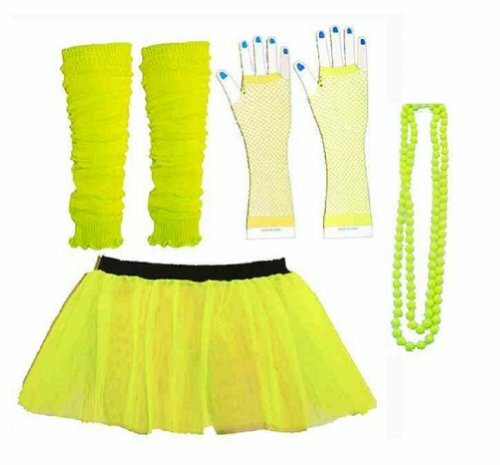 All you need to add is a baggy T-shirt or sweatshirt, preferably worn off one shoulder. 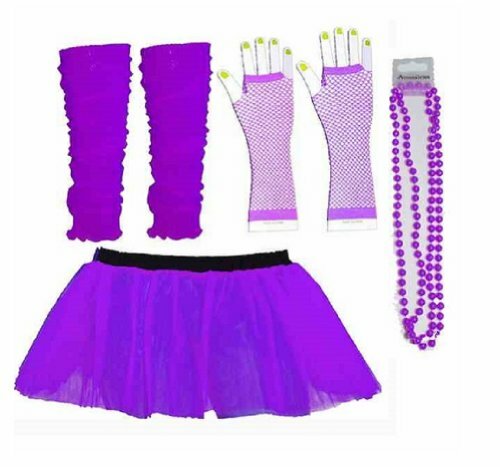 By buying a tutu kit (rather than a complete costume), you can make your look more individualistic by adding the T-shirt/top of your own choice. 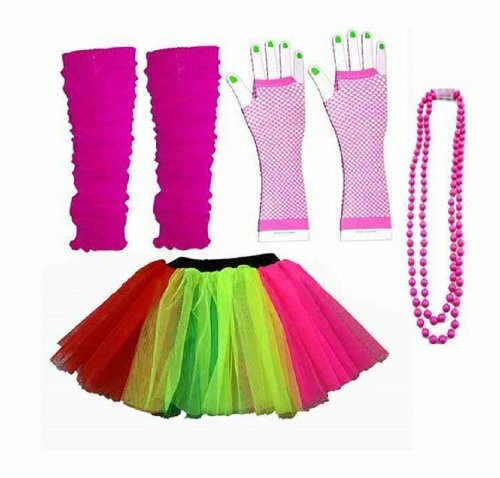 Most sets also come in a range of colours, too, (usually pink, green, orange, blue and yellow), which means you can choose something to suit you. 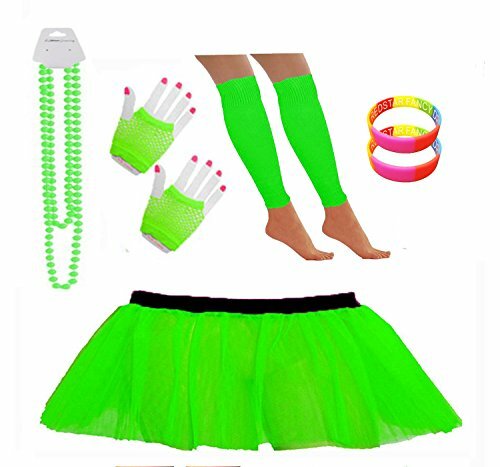 The elasticated waist on the tutu skirt makes them easy to wear (one size fits most) and the sets are also ideal for charity fun runs and hen nights (bachelorette parties in the U.S.). 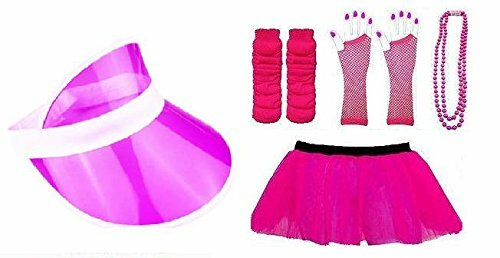 As mentioned, there aren't many (if any) sets available for adults at many U.S. costume stores, but I managed to find a couple at Amazon and a wide variety at ebay. 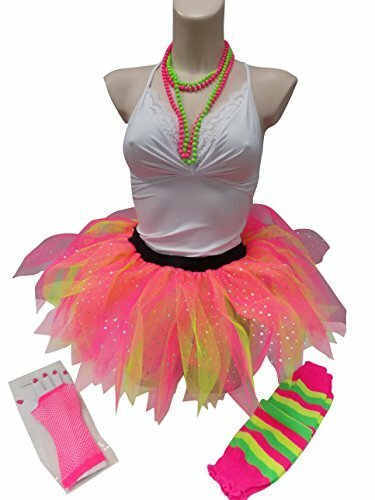 ebay have, by far, the biggest choice of brand new, buy it now 80s tutu sets for adults in the U.S. 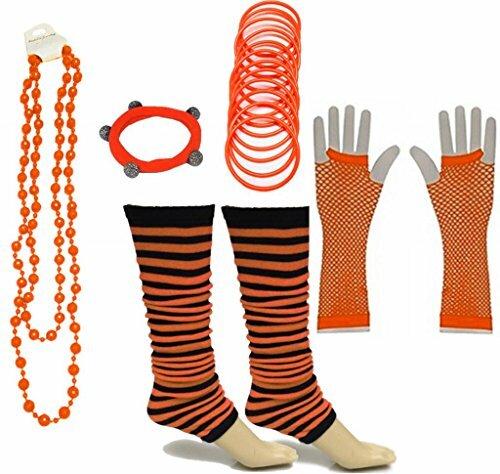 It is pointless displaying individual items from ebay, as products are added and deleted on a regular basis, but the link above will show you everything available. 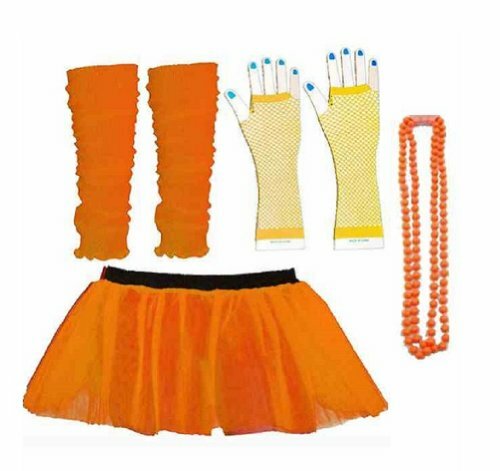 As you can see, Amazon's British store features a wide variety of products. 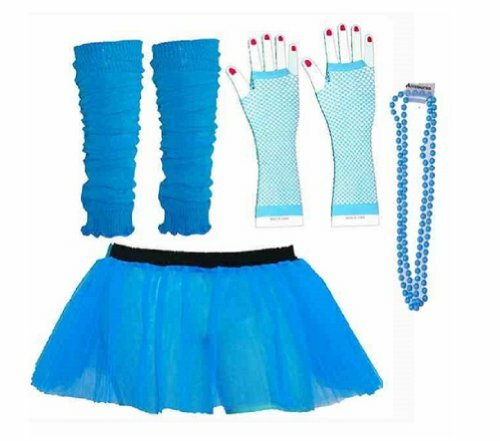 However, don't be envious if you're from the U.S., as you will find many of these sets at ebay using the link above. 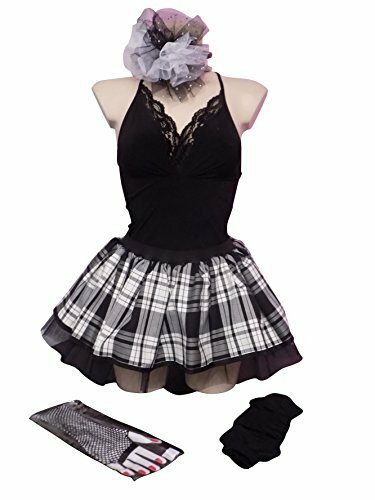 ebay UK also has a great choice of products at very competitive prices, and they often come in two size ranges - standard and plus size. 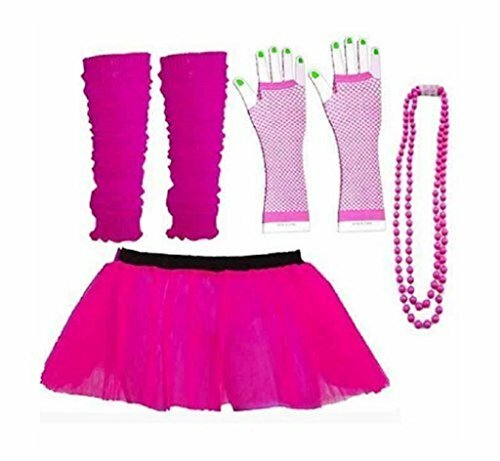 80s T-shirt Ideas for Women U.S.